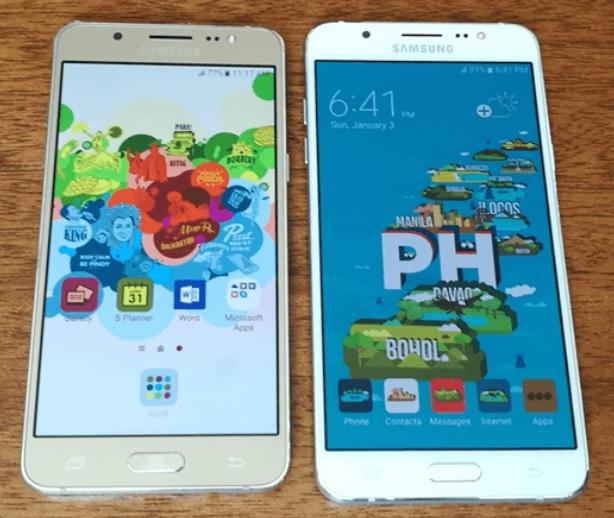 Samsung Philippines officially launched in the country two of its latest smartphone offering for this year, the Samsung Galaxy J5 2016 and Galaxy J7 2106. The Samsung Galaxy J5 and J7 2016 editions are lower-mid and mid-range devices respectively. Both handsets have many things in common, both sport metal frame and have a striking resemblance to most, if not all, Samsung Android phones. They also have Super AMOLED displays with HD resolution and Gorilla Glass 4 on top, albeit, the J5 has 5.2-inch screen compared to 5.5-inch of the J7. Moreover, the J5 and the J7 are both dual SIM with LTE connectivity, have 13MP main camera, 5MP selfie shooter, NFC, 2GB of RAM and 16GB of internal storage. The main difference lies on the chipset used, the J5 being the more affordable at Php11,990 uses slightly old Qualcomm Snapdragon 410, the same thing found in the Galaxy On7, while the J7 being the more premium one at Php14,990 uses Samsung's own Exynos 7870, which is an octa core processor with Mali-T830 as GPU.